Built in 1684, the Old Witch Gaol (Jail) was an instrumental location during the hysteria in 1692. 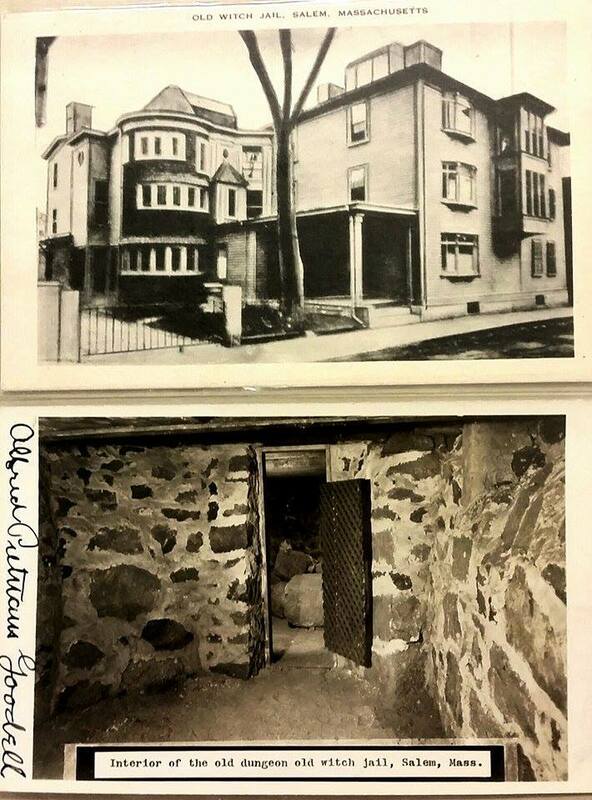 The jail and lower level dungeon were used to house and reportedly torture many of the accused as they awaited trial. The condemned were kept in deplorable conditions that included incredibly small cells, some of which were standing room only. The indicted were also denied access to water and were charged for food, straw bedding and even a fee for their execution and cuffs. 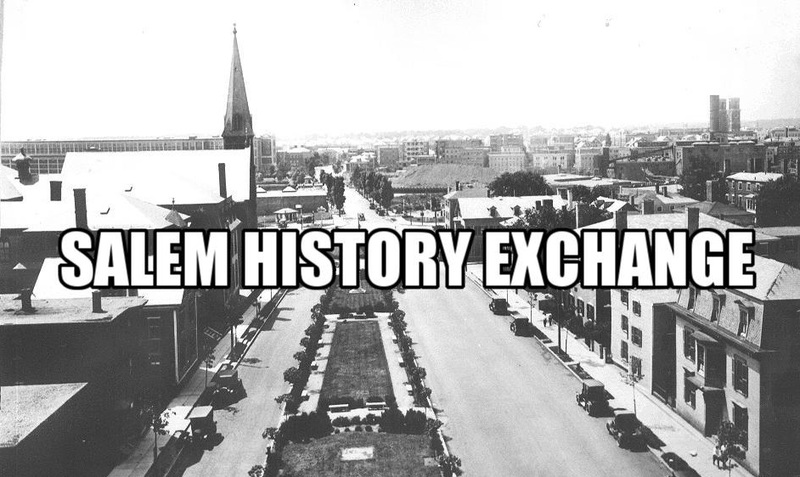 The jail was abandoned in 1813 when a new, larger jail was constructed on an adjacent lot. The location of the old jail at 4 Federal Street in Salem was purchased and transformed into a home in 1863 by Abner Cheney Goodall. In 1935, Goodall’s grandson Alfred and his wife began offering tours of the home in which visitors could view artifacts such as unpaid bills of the accused and articles of clothing belonging to prisoners. 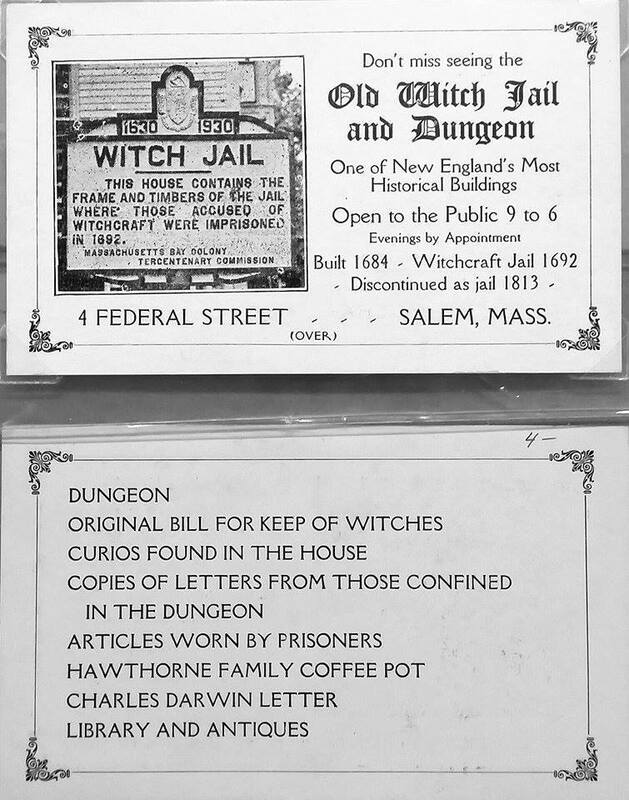 The handbills above show advertising from c. 1940 of the Goodall’s Old Witch Jail and Dungeon exhibits. In 1956, the New England Telephone Company razed the house at 4 Federal Street in order to construct their new headquarters. 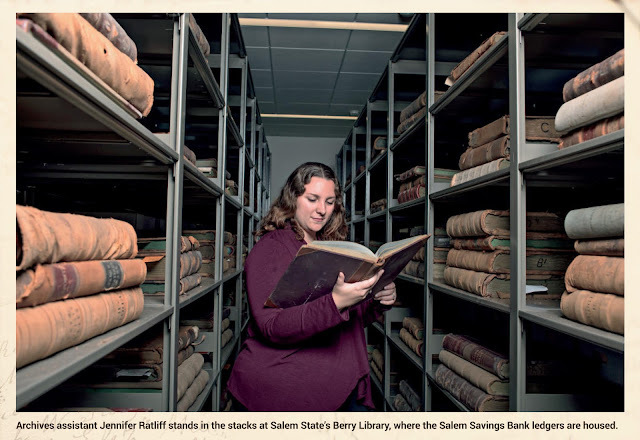 It was at that time that the Witch Dungeon used in 1692 was discovered below the building. 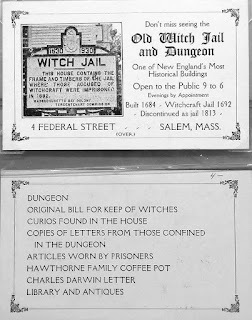 Although the original Witch Dungeon was not preserved, a bronze plaque is displayed at the Federal Street location and artifacts such as period timbers can be viewed at the present day Witch Dungeon Museum on nearby Lynde Street. Does anyone know if this is the dungeon where Elizabeth Hart was held? She was my Great Grandmother. Thank you.